Does anyone know what the red border on the building over at galaxy’s edge? To me, it looks like the basis for a safety wall around the perimeter of the roof. But that means there is at least a 75% chance that it's something else. I’ve also wondered with all the spires and mountains what is this going to look like from Rivers of America? As excited as I am for the new land, I don’t want the to look up and see something from out of this world. Any ideas? Last edited by BiggestDisneyFan; 02-05-2018, 12:21 PM. I think there is a lot more that is going to be done to the backside of the show buildings. There are regular groups of four "connectors" on the back of the BE building, in the top fourth of the wall. There must be something that is going to be attached to them. It could be something similar to what they did to the parking lot (I mean DCA) side of the Indy building. And maybe somehow the red border fits into that? Or it is some kind of water barrier, etc, etc. Yeah. They're definitely not going to make the back side of the rocks looking like they do now. You can tell Mark and Megan have a true passion for getting great footage and educating us at the same time. They go out of their way to do it too....always looking for new places to shoot like the Matterhorn. David at FB panned right across the new tower and didn't even notice it, but Mark featured it as well as the crashed ship being built. Their only flaw is that they post once a month lol, but it's always worth it. I love Fresh Baked. True Disney nerds, just like me. I like them a lot, too. But with their more recent knot-hole gang videos, they just haven't had much to show and now it's just Dave (???) narrating them by himself. No more witty banter between friends. While we are discussing the sides of the BE building, I will throw this out there. Those metal protrusions in the walls will support large signage, like show posters. There will be billboard frames mounted to them for seasonal signage. I’m intrigued. That sounds really cool. So you don’t think they will try and hide the building, you think they’ll use it for advertising? I could see that. I just hope they learned their lesson from what they did with the back of cars land. Leaving the magic exposed like that a cheap choice. I’m glad the fixed that. I hope they go 100% on the back of this, even though it’s the back of something guests still see it and i think it’s the added touches that make Disney, Disney. Lots of guests will see it as they drive up towards the Mickey and Friends structure and while they walk along its eastern side. I'll be really glad if Disney puts some great, big posters up there. It's something I mentioned wanting, quite a while ago. I wonder if the Anaheim Resort District have any signage ordinances. I haven't noticed any bill boards from Disney properties facing out to the public. I know they have bill board signs on eastide of DCA but that is facing within the transporation/hub area. 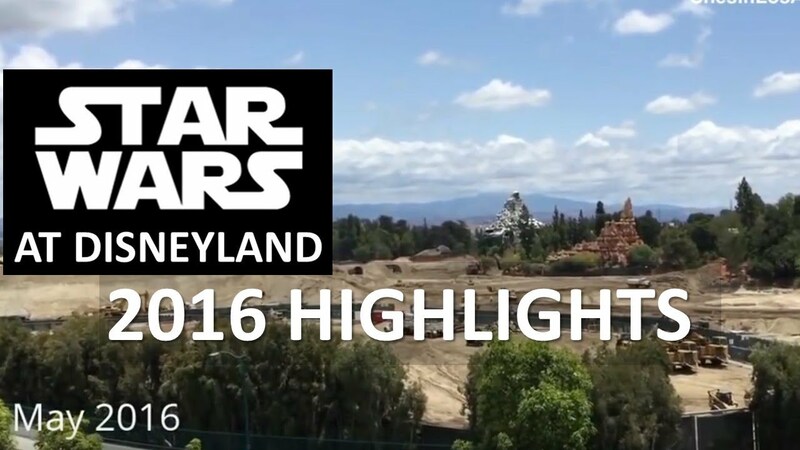 A short SILA video recapping the 2016 monthly SWGE construction. A new SILA video taken Tuesday 2/6/18 viewing the SWGE construction from the M&F parking structure. 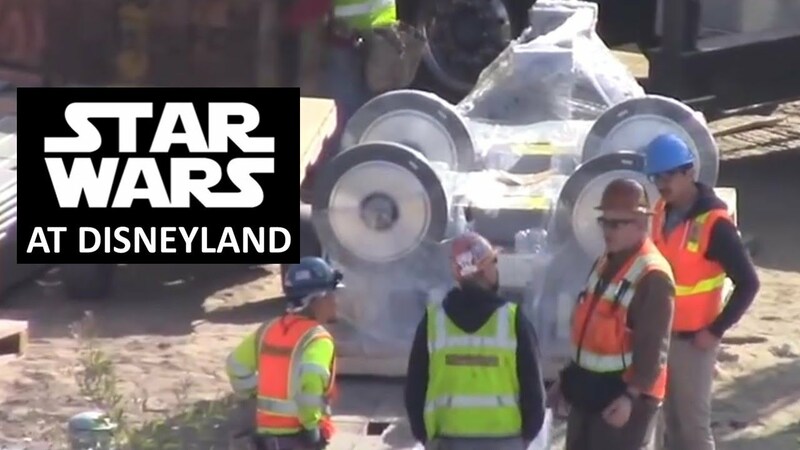 At 0:42, it looks like some elements of the ride system are now on site...interesting. It also looks like some steel rock work support structure is being installed between the two rectangular structures on top of the BE building. Another SILA video taken 2/6/18 viewing the SWGE construction through the fence at the Critter Country entrance. I don't think signage ordinances would affect Disney putting big Disneyland posters on the back of a building inside the park, not protruding outside of the park. 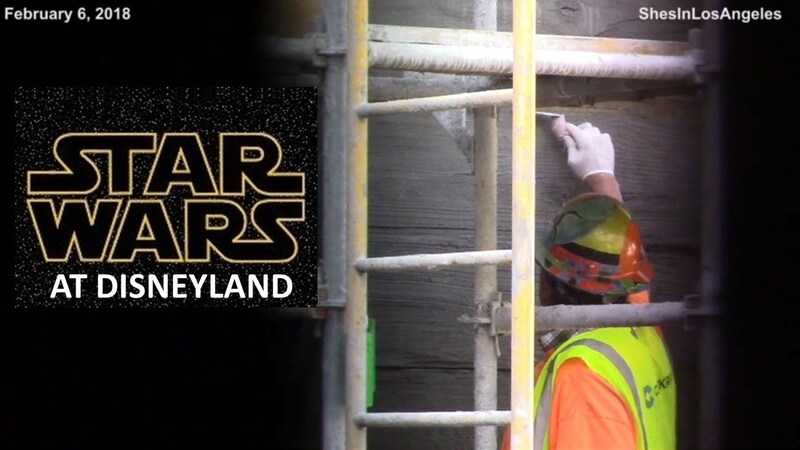 It would be little different from them actually painting a big Disneyland logo on the back of the building. According to commenters, the equipment with the large wheels and the heavy-duty motors will likely be parts of one or more elevator systems. Now, what would they be doing with elevators, inside the Battle Escape? That mechanism would make some HEAVY DUTY elevators and would certainly be part of the of the ride system. A lot of different elements would have to be part of this very complex attraction...it's very exciting in any case. Last edited by Hammer; 02-09-2018, 12:27 PM. I hope they use that space as a staging ground for more cool stuff that needs to go into the Battle Escape building. It's easy for our intrepid investigators to get good pics of that space. I hope so as well. Something else I noticed at 0:42 in the M&F video. Look at how many hardhats are standing around those assemblies, I'm guessing one or two of them Imagineers, that's a lot of attention being paid to some simple elevator mechanisms. Like you said, I really don't think those are simple elevator parts. I agree that they've got to be parts of the ride mechanisms and may be of a design never used before. That would merit having Imagineers on hand.